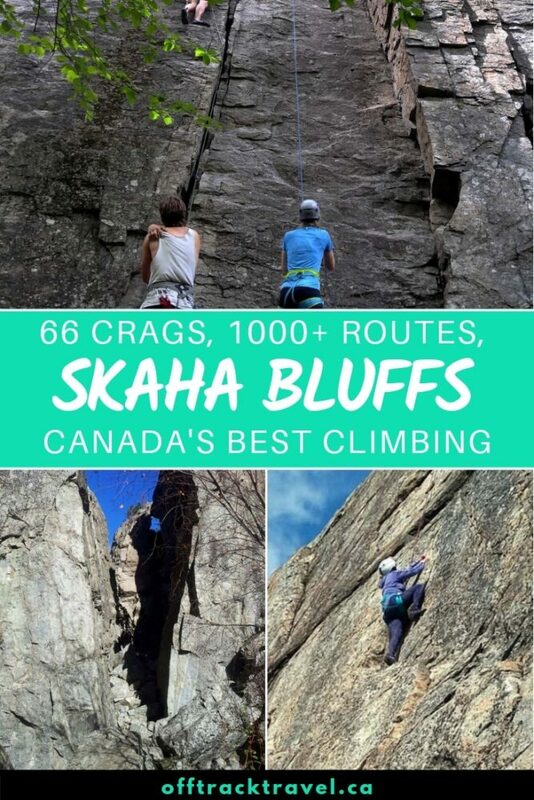 Skaha Bluffs Provincial Park is one of the best places to climb in Canada. 66 crags and over 1000 climbs can be found in three main canyons. Most climbs (around 65%) are sport routes but there are still opportunities for traditional climbing too. 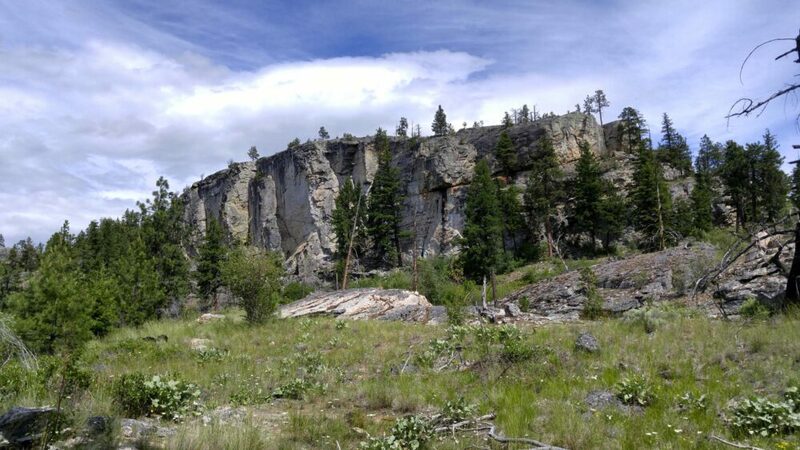 The sheer variety and choice of routes in combination with the southern Okanagan’s warm climate make Skaha Bluffs a world-class climbing destination. There are affiliate links in this post. If you make a qualifying purchase through these links, I may receive a small percentage of the sale at no extra cost to you. A 60m or 70m rope. 60m is fine for the vast majority of climbs. 10 Quickdraws for most sport routes. 15-20 for big cliffs. Guidebooks can be purchased at the Bookshop on Main Street, Penticton. Excellent lessons and programs are provided by Skaha Rock Adventures, owned by the immensely knowledgeable and enthusiastic Russ Turner. As of February 2019, there is nowhere to buy climbing equipment in Penticton. The closest place for supplies (besides chalk bags) is in Kelowna at Mountain Equipment Co-Op. Skaha Bluffs is located just south of Penticton, BC, Canada. Penticton is about a 4.5 hour drive from Vancouver. The main access point into Skaha Bluffs is the Provincial Park entrance on Smythe Drive on the eastern side of Skaha Lake. The turn into Smythe Drive is clearly signed on Eastside/Lakeside Road in both directions, though it is located on a bit of a tight corner so can come up fast. Follow Smythe Drive all the way to the end to reach the two parking lots. 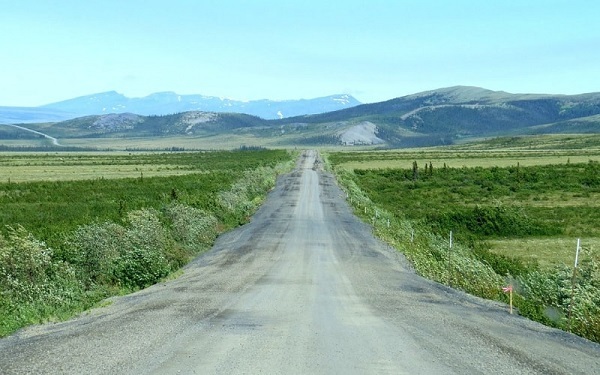 The road becomes narrow and windy for the last kilometre so be sure to drive carefully and be prepared to make space for an approaching vehicle at any point. Parking is free. The only facilities are four outhouses. The gate opens at 7 am and closes at dusk. There is an alternative route into the Bluffs via a residential area to the north of the park. Using this entrance cuts down substantially on hiking time to the northern climbing areas such as Kids Cliff. The trailhead can be found right at the end of Evergreen Drive (the southern of the two), between two trees and next to a large concrete block. Be sure to keep respectful when parking on the surrounding residential streets and DO NOT park in front of the trailhead itself. This area is used for emergency vehicles if a rescue is needed. With Penticton being a resort town, there is plenty of choice of hotels, motels, B&Bs and Airbnbs. My personal favourite area to stay in Penticton is the Okanagan Lake side, as the town’s downtown area is super walkable. Accommodation on the Skaha Lake side is generally cheaper however. 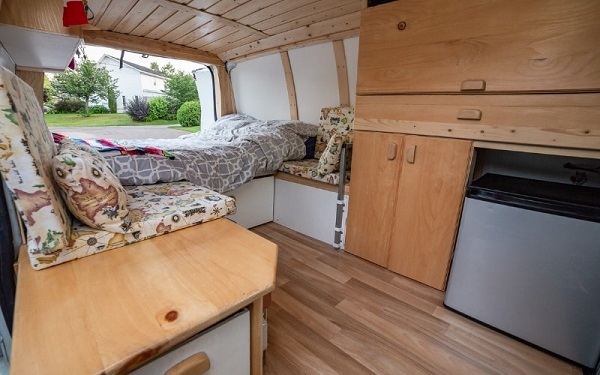 Many climbers choose to camp or sleep in their vehicles while visiting Skaha Bluffs. 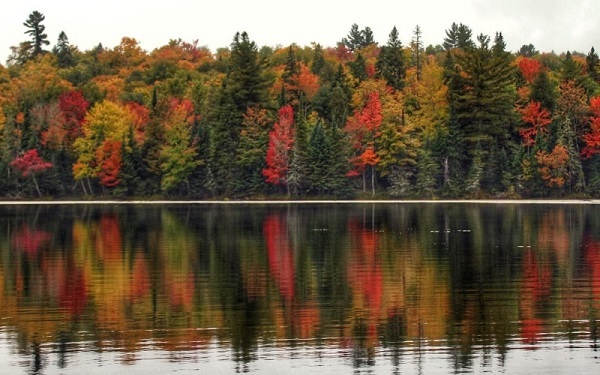 Here are my top recommendations for places to camp around the area. Banbury Green is most definitely the perennial favourite for visiting Skaha climbers. 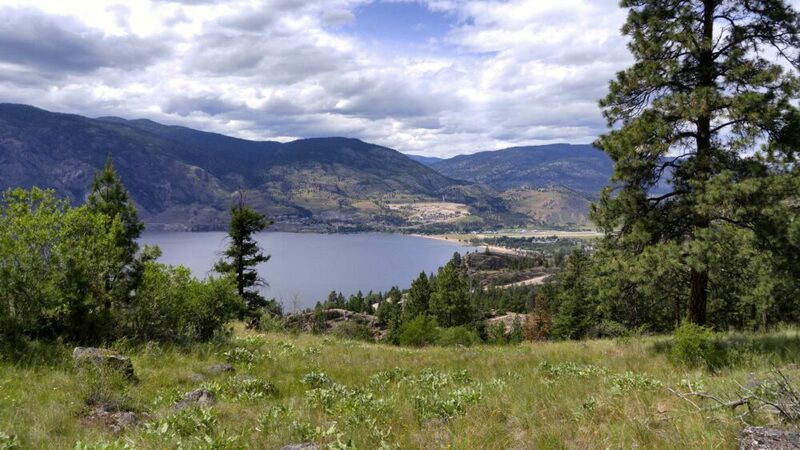 Located on the opposite side of Skaha Lake, Banbury Green offers waterside campsites and views of the Bluffs. Discounts for climbers are usually available in the spring =(April/May). Reservations are recommended. 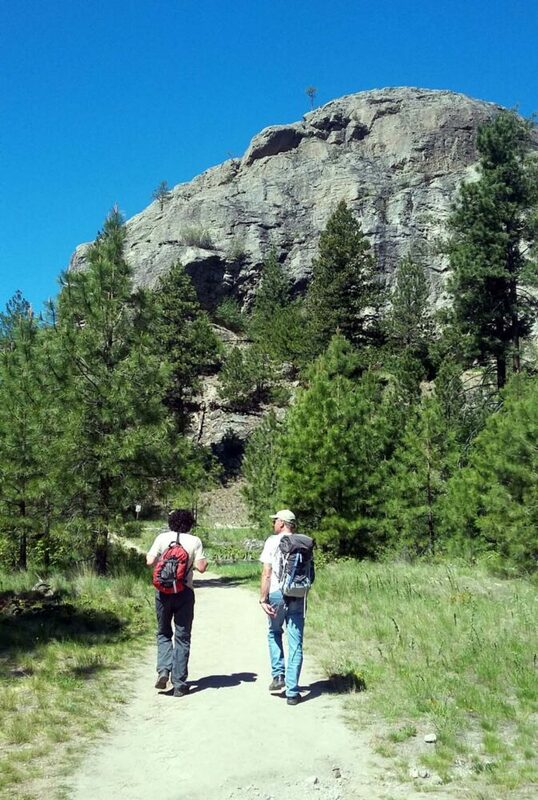 sx̌ʷəx̌ʷnitkʷ (Okanagan Falls) Provincial Park is a 15-minute drive from the Bluffs. 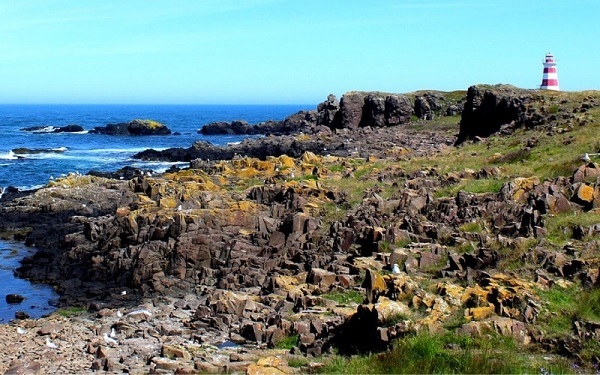 It offers the most ‘natural’ organised camping in the area. The park is open from late March until early October and has 25 sites. A first come first serve system was used until 2017, but all sites can now be reserved during the busier season (mid-May to early September). With Penticton being such a busy resort town, free camping options for Skaha Bluffs are not plentiful. The best option is to drive east along Carmi Road (by the hospital), continue on as it becomes Beaver Dell Road and find somewhere to park off this gravel road. I would have also recommended Walmart, but new signs have recently appeared stating that overnight parking is not allowed. I would still go and check out what the current situation is though. It is usually possible to climb at Skaha from March to October. Some local climbers continue later and make an early start in February, but it depends on the harshness of the winter and how hardy you are! 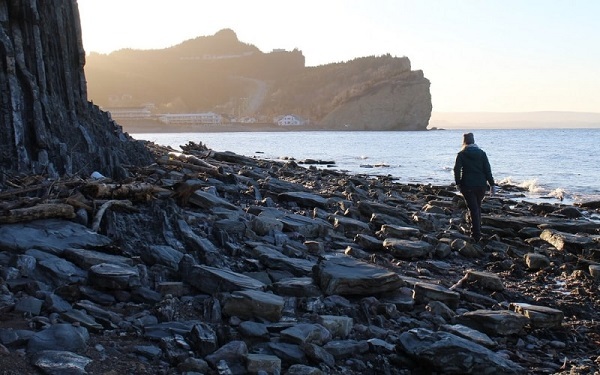 The BC Parks page for Skaha Bluffs will provide updated details on when the gates officially open in the spring. 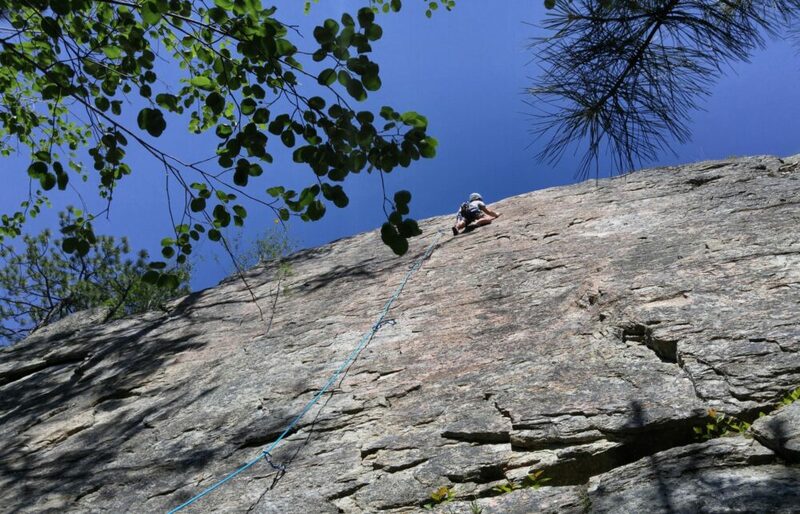 The most popular months to climb at Skaha ar April, May and September when other Canadian climbing destinations are either too wet or too cold. The long weekends of Easter, Victoria Day and Labour Day at the busiest times to visit the Bluffs. The two parking lots will be full, lineups for popular climbs are common and it’s just general pandemonium. If you can’t avoid these weekends, be sure to have patience, kindness and carpool if possible. After a dose of rain, the Bluffs tend to dry out pretty quick. There can be torrential rain in the morning yet it can still be a great climbing afternoon. Keep in mind that it’s usually a little bit warmer at the Bluffs than in Penticton during the climbing season. 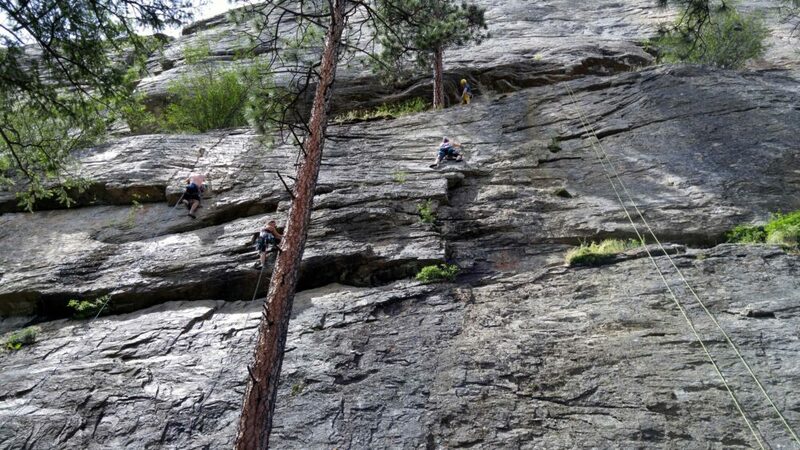 Climbing in summer IS possible! Start early or late and be sure to take lots of sunscreen and water. Eastern and southern walls will be sunny in the morning but shaded in the afternoon; choose your destination as appropriate. 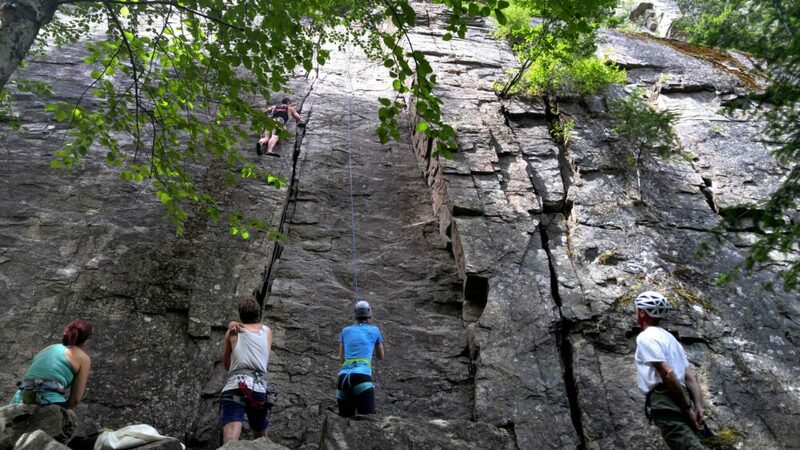 Fern Gully, near Doctor’s Wall, is a great option for summer climbing as it stays cool all day. 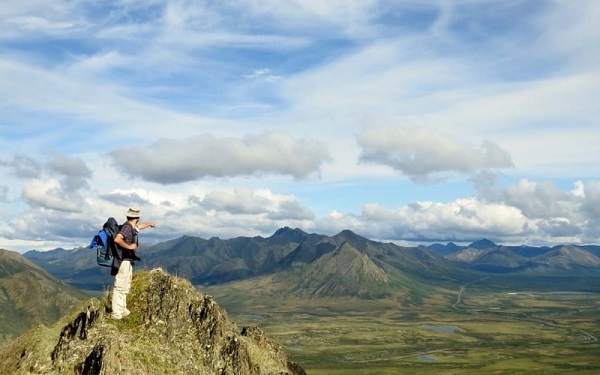 Until 2009, climbers had to pay to park on a local farmer’s land and puff up dozens of steps. 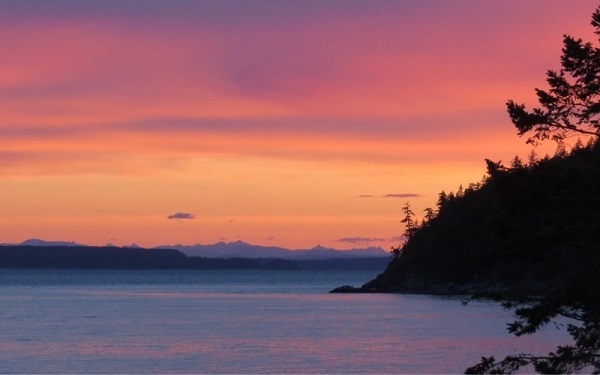 When the farmer decided to sell his property, local climbers (with the help the Nature Conservancy of Canada, The Land Conservancy and MEC) successfully petitioned BC Parks to make Skaha Bluffs a Provincial Park. Access is a lot easier now! Six species of snakes can be found in the Bluffs, including the Western rattlesnake. More docile than its southern cousin, the Western rattlesnake is commonly seen moving between rocks or sunbathing. Leave them alone and they will usually leave you alone too! Russ Turner, of the aforementioned Skaha Rock Adventures, has been operating climbing lessons and programs in the Bluffs since 1993. He has created dozens and dozens of routes in his free time and was instrumental in ensuring continued access to the park. If you arrive at Red Tail one day to find it full of Russ’ climbing students, please be kind and respectful. There are plenty of other great places to climb at Skaha. The 2012 edition of Skaha Rockclimbs is the most updated version. A new edition is not currently in the works by the same author. 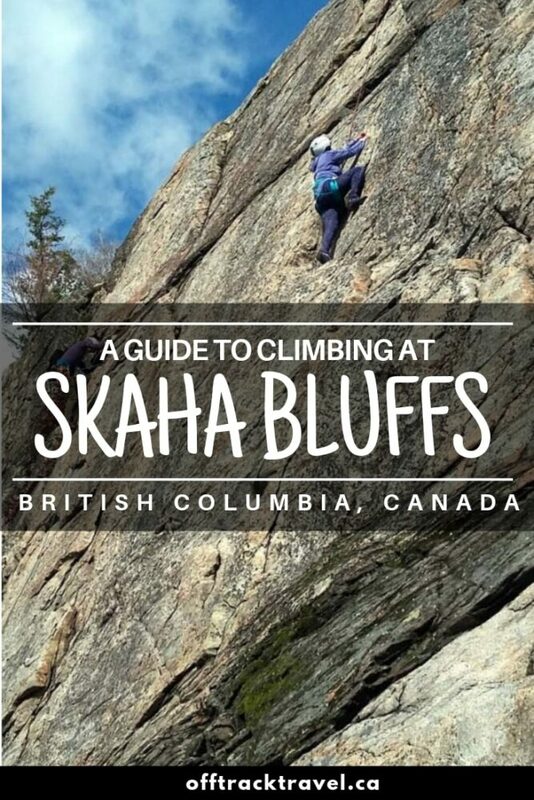 Are you planning a climbing trip to Skaha Bluffs?